Gift Guide #1: It's nearly that time already; the trees will be going up and the halls will soon be decked with boughs of holly. So it is also time for the PEZ Holiday Gift Guide and in #1 we kick off with offerings from Danny Shane, Effetto Mariposa, CeramicSpeed, ELEMNT MINI, PEdAL ED, MINT and Rapha. 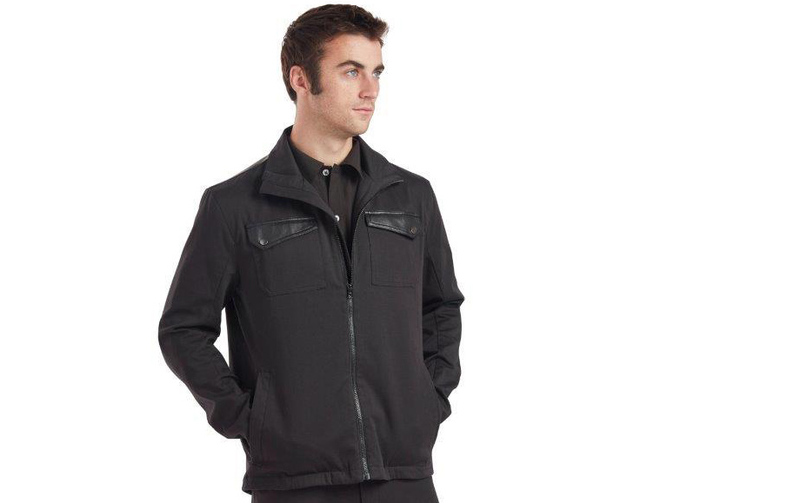 A bit less bold than their signature patterns, but no less stylish – with a sharp, tailored design – the cotton/poly/spandex blend in this urban-chic jacket is crazy soft and warm enough for chilly commutes. Plus, with custom-zip sleeves, four front pocket and one large rear zip pocket, you can bring all the needs for your commute and the rest of your day. For a standout look, these bib short feature a red, white and black stripe at the leg opening for a classic, bold and sporty look. The Bluesign fabric is the highest performance grade, 100%-recycled nylon. These match perfectly with a number of DS jerseys. Eight body contouring panels, nylon bib straps, and Cytech’s top-notch, 100-mile-rated Carbonio chamois pad combine to offer superior performance, comfort and fit. Danny Shane Limited Edition Rainier Red Short: dannyshane.com/collections/limited-s5-rainier-red-bib. Effetto Mariposa’s Giustaforza has long been the high standard in torque wrenches. And while it is on every mechanic’s ‘want’ list, at $260 it is may not be on everyone’s need list. The new compact and more universally affordable G 1-8 is likely to change that. The precision focused click-in feature of the new Giustaforza 1-8 and the sturdy construction remain the same. The new smaller wrench ratchets its torque range back to 1-8 Nm, reaching all time sensitive lows. 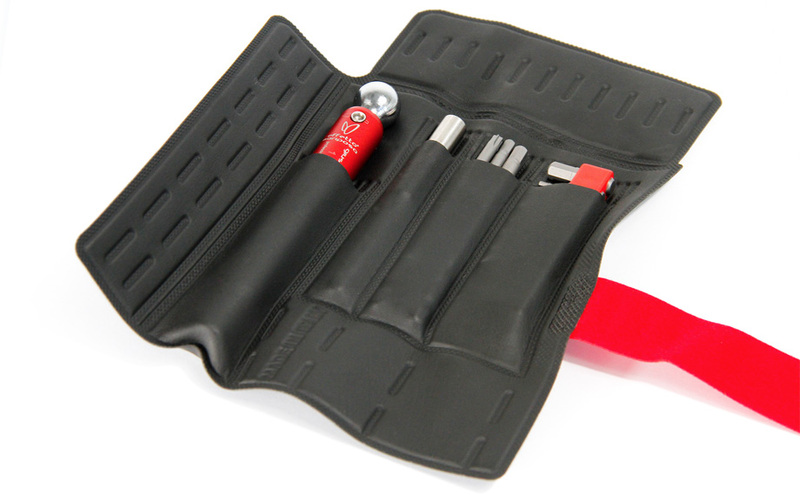 If needed, torque can still be reached past 8 Nm and up to 20 Nm without damage to the tool. At 135 grams the Giustaforza with a compact head works as portable mini tool and reaches tight spaces. Take it trail-side or assemble a shipped road or triathlon bike with this one tool. Loud click and a free movement of 5° will indicate the precise torque has been reached. 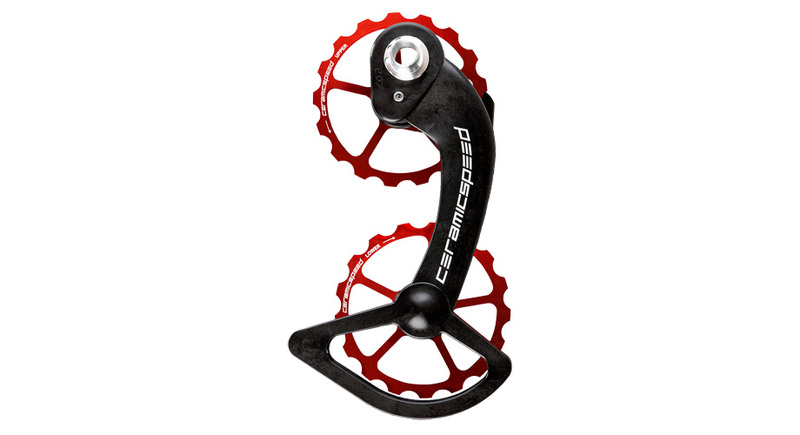 Developed and designed entirely by CeramicSpeed, the Oversized Pulley Wheel (OSPW) System for Shimano 9000/6700 provides the ultimate optimization of your bicycle's drivetrain. This OSPW System features a set of 17-tooth aluminum Pulley Wheels, available in red and black, housed in a specially designed polyamide (PA) and carbon cage. The upper and lower 17-tooth oversized aluminum pulley wheels come fitted with either standard or coated CeramicSpeed Bearings. The Oversized Pulley Wheel (OSPW) System is the product of choice by many of the world's leading cycling teams and triathletes. This specific system is compatible with Ultegra 6700/6770/6800/6870 mechanical and Di2 rear derailleurs and Dura Ace 7900/7970/9000/9070 mechanical and Di2 rear derailleurs. CeramicSpeed bearing oil in 10ml dropper bottle. Info on all the different CeramicSpeed Oversized Pulley Wheel systems: www.ceramicspeed.com/oversized-pulley-wheel-systems. The Tokaido Neck Warmer, which completes the Tokaido collection, is designed to keep your neck warm during cold rides, but at the same time to let you breath easily while riding at high intensity. The inner layer of the Neck Warmer is made of Polartec® Alpha® fabric, which was originally developed for the U.S. Special Forces, as response to their need of an advanced insulating material for their combat uniforms. The Alpha® disposes of an active insulation mechanism that is able to regulate core body temperatures, during both dynamic and static activities. The Tokaido Neck Warmer was tested on the roads and trails of Kyrgyzstan during the Silk Road Mountain Race, in the hardest environmental conditions ranging from 4.000mt high mountain passes to 40 degrees desertic lands. The Neck Warmer can be used on two different sides, each one thought for a specific use. On the one side, laser cut holes allow you to breath deeply while riding, keeping you dry and comfortable at the same time; on the other side the inner Alpha® fabric protects and keep you warm from cold and extreme temperature, while descending. We donate a buck to NICA, www.nationalmtb.org for every pair of socks we sell to get MORE KIDS ON BIKES. 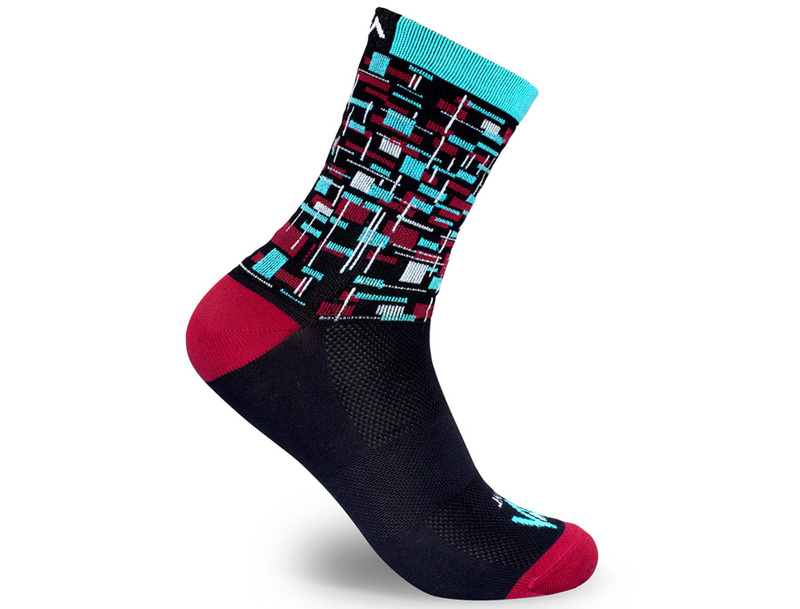 MINT cycling socks are designed with style in mind, often borrowing colors and patterns from mid-century modern forms. Each minted edition is limited and once they’re gone, they’re gone. Six limited edition models to choose from the 7 inch tall Chutney, Da Vino, Red Racer and PurPel, the 6" tall Dreamer or the 5.5" Triangulate. BONUS: For every pair of socks sold, a buck goes to NICA; every pair, every sale, to #getmorekidsonbikes. MINT socks are designed in the USA and made in Italy. On all day cross-country adventures, there are times you'd rather not wear a jersey. For those days, there’s the Technical T-Shirt. Made from a lightweight fabric that wicks sweat away from the body and promotes airflow, you’ll stay cool and dry even when working hard in the saddle. 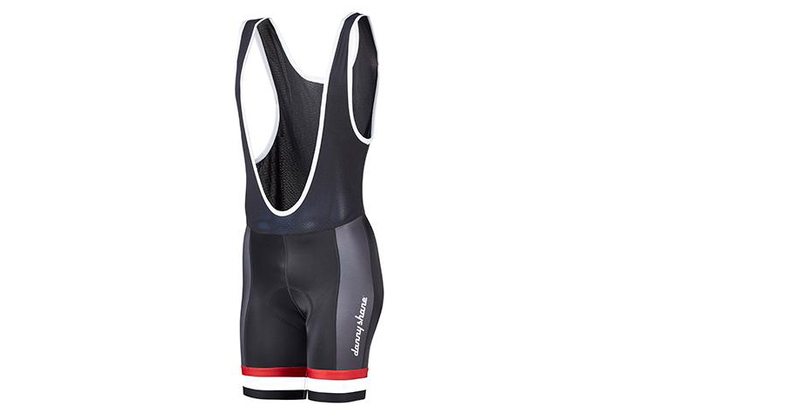 Hidden reflective trim helps you stay visible on the bike. A more casual approach to dressing for your next ride. Rapha website for more details: www.rapha.cc.